How to Retire in Mexico, What do you Want? 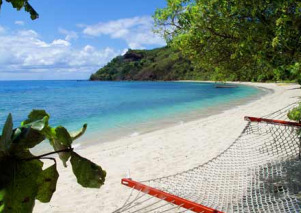 How to retire in Mexico should be on your frugal radar. Of all the countries that Americans and Canadians should consider for frugal retirement living, it is Mexico. Do not believe everything that you hear on the evening news about Mexico being unsafe. Now I would not suggest that you retire in a border town there is no attraction for a long time resident and that's where most of the drug-related violence is concentrated. The central part of Mexico is much safer than the border. Close to 1 million Americans and Canadians already call Mexico home, both part-time and full-time residents. Why do they choose Mexico is retirement home... The pace of life is slower and it costs much less to live in Mexico and a dozen United States. Starting right off with healthcare which you can buy for around $270 per year per person. will Why would, Canadians for instance who have national healthcare that is paid for by the government, go to Mexico for healthcare? Simple, they don't have to wait months and months to see a doctor in Mexico. Careful when you see the word free...there is usually a price associated with it...in this case it is time. It is a surprise to most folks of how close, and how small, Mexico is in comparison with the US. 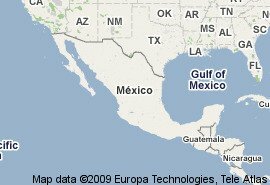 The US is 5 times as big, in area, as Mexico. It is less than 600 miles from Guadalajara to Brownsville Texas. The roads are not near as bad as you might think or have heard. One couple spent three years pulling their travel trailer, looking for the perfect place to retire in Mexico. How to retire in Mexico? If returning "home" quickly is an issue it shouldn't be. Airline service is cheap and quick to the US and Canada from Mexico. It depends on where you want to retire. The tourist towns, Puerto Vallarta, Acapulco, Cancun are going to be the most expensive. They have economies geared to tourism and everything in a tourist town is going to be more expensive than a town "off the beaten path". On the other end of the spectrum would be a small village with not many ex-pats, gringos, etc. You won't find a Marriott and you may find very few English speakers. This where the living is the cheapest. Remember the average Mexican family lives on $500 a month or less, and their families tend to be large. I am not saying you want learn how to retire in Mexico on $500 a month, but it is done every day. If you do speak Spanish, you will not be limited in your choice of location or how much you spend. Now personally, you can make yourself understood anywhere in the planet if you try hard enough. For this view I would be willing to carry around an English to Spanish dictionary in my back pocket. Do you really think they're not going to serve you in a restaurant... If you have money in your pocket. We never had any problem getting understood in Venezuela I can assure you. Be more comfortable in Mexico with a large ex-pat community? If you feel more comfortable being surrounded by Americans and or Canadians, you will gravitate to the towns with a large gringo community...Lake Chapala, San Miguel de Allende, Merida. 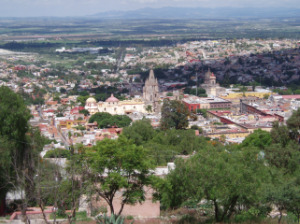 Here is an shot overlooking San Miguel de Allende, a very popular spot for frugal retirees. In year round spring like temperatures you can enjoy art, culture in one of Mexico's premier colonial cities. It's your choice...speaking Spanish is not necessary here...and you would have lots of Americans to hang with if that is your choice. One thing that will become apparent in learning how to retire in Mexico is the way the Mexicans enjoy life. They don't have much, don't spend much, but you will like them immensely. It is like living in the US 50 years ago. Strong family values and ties are the centerpiece of Mexican life. It is a slower pace for sure, but isn't that what retirement should be anyway? Statistically you are are three times more likely to be a crime victim in the US vs Mexico that is a fact. The border towns do have a lot of drug related problems now, kind of like Detroit, LA, and say Chicago... you are 3 times safer living in Mexico. The Mexican economy is now the 12th largest in the world, recently passing Canada. The Mexican middle class is growing at a very fast rate. There are currently in Mexico 98 Walmarts and 31 Costcos. These companies are not fools. If there was not a viable market for their goods they would not be here. The Mexican government recently embarked on a $250 billion infrastructure program to improve roads, airports and seaports. To be prudent about how to retire in Mexico, first plan a trip to where you think you might want to go. Then get an apartment, not a hotel, and live like you would everyday. Do laundry, do dishes, go to the bank, have coffee in the morning with the locals and the exx-pats. Ask as many questions as you can from people who live there now...their likes, their dislikes...get informed. Lastly, do not buy right away, always rent first. It is the prudent thing to do. After a several months in Mexico, and you are sure it is for you, then think about buying a home. You will have acquired a lot of knowledge about the area, met some realtors, etc. 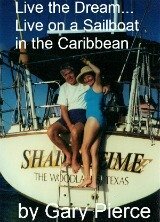 Enjoy Mexico and frugal retirement living.